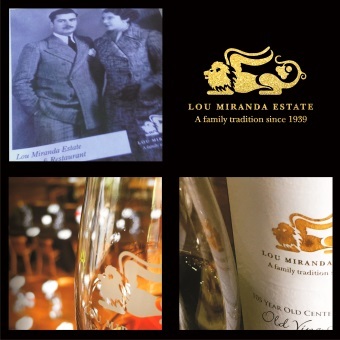 Lou Miranda Estate is a family owned boutique winery based in the Barossa Valley, South Australia. Lou, his wife Val and their daughters Lisa and Victoria produce premium quality wines under the Leone and Lou Miranda Estate brands using fruit from their own Barossa Valley vineyards. Lou’s father used to say ‘You can only make great wine with great fruit’. This simple but effective philosophy is reflected in all that they do today, from our rigorous approach to vineyard management, consistency and discipline over fruit selection to hand crafted winemaking practices. In one way or another, the family has been working on these wines for more than seventy years. It started when our nonno, Francesco Miranda came to Australia from Italy in 1938. He arrived in Griffith, New South Wales and set about building his dream. His son Lou has spent a lifetime building on his father’s passion while adding his own unique style.